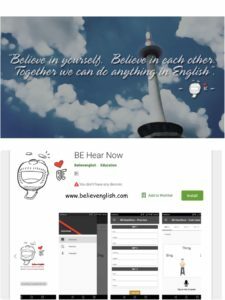 Believe English has an app in Google Play! Be Hear Now let’s you practice pronunciation at your pace with the words you choose. The current app is set up for Androids running system 4.4 or later. If that’s not you, you can still do the pronunciation practice right here on the BE website.